The silver jubilee of a noteworthy Holbrook partnership was celebrated recently, one year behind schedule. 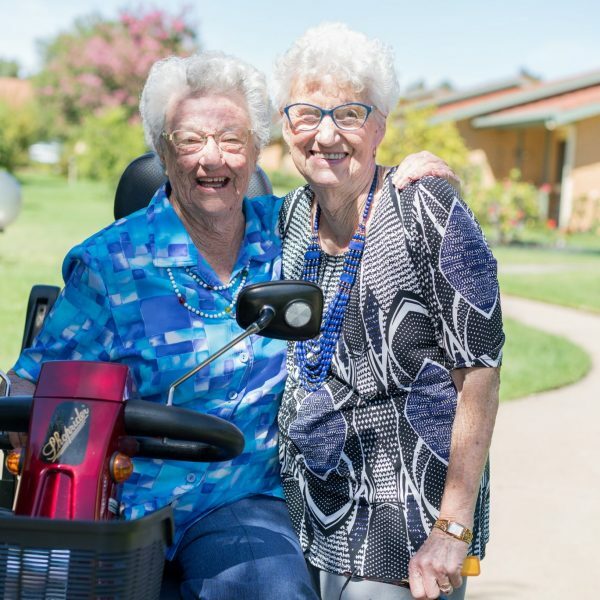 UPA’s Holbrook Village Hostel, a 21-bed aged care facility, is now in its 26th year of operation and the Friends of the Hostel have been there since formation. 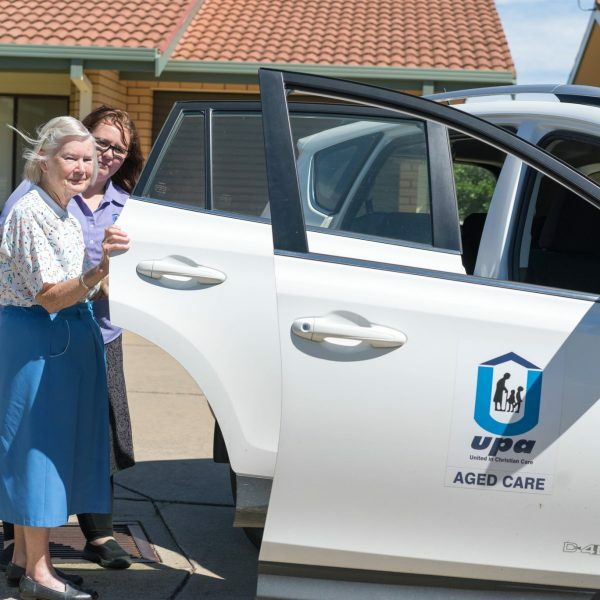 UPA Murray Regional Director, Tony Dunn said it is an important relationship. 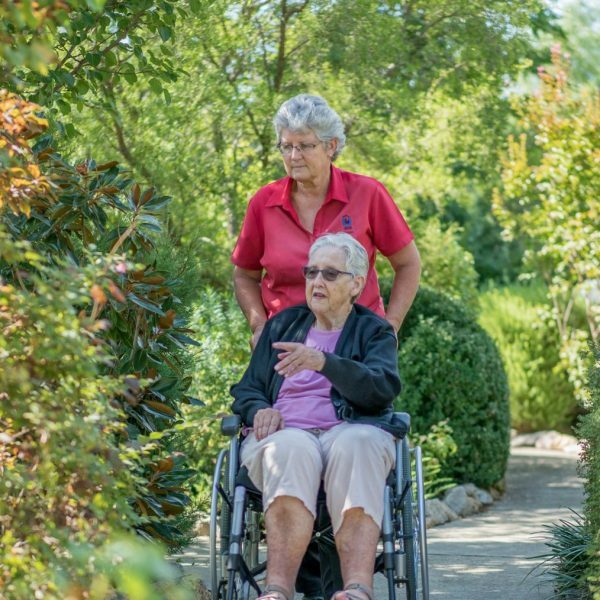 “For nearly 26 years a small group of women have continuously raised funds to make the lives of the hostel residents more comfortable. They have raised tens of thousands of dollars, with more than $20,000 raised just in the last four years. 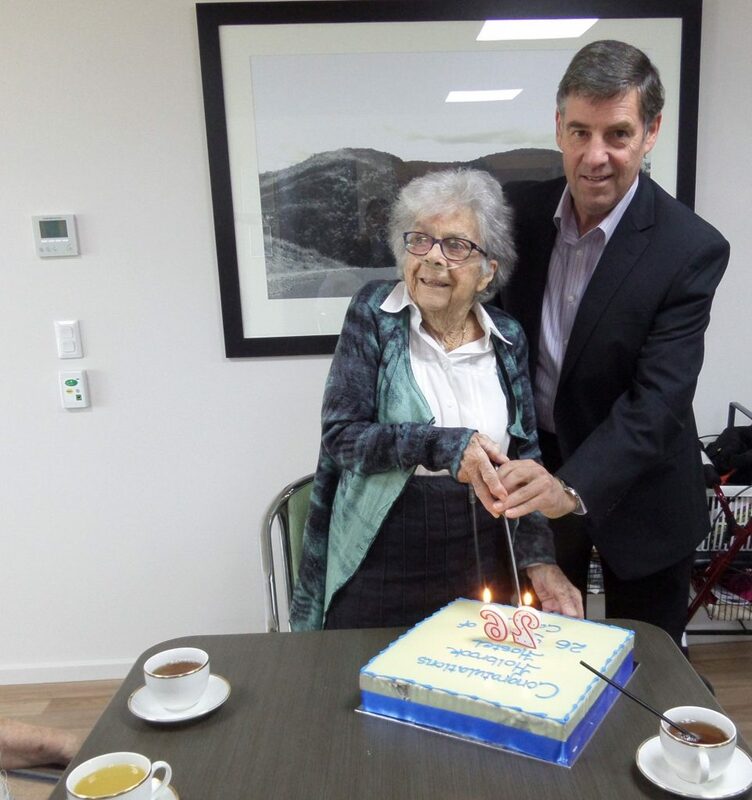 “Last year was the hostel’s 25th anniversary but we were in the middle of a $1.5million upgrade so we celebrated the hostel’s silver anniversary and acknowledged the Friends group’s incredible contribution with a morning tea celebration on 28 April,” he said. Through the years, the Friends of the Hostel have purchased all manner of things from simple, small items to quite significant pieces of equipment. “They have provided a Princess chair (for palliative care), a wheelchair, large screen TV’s and a fish tank, just to name a few examples. 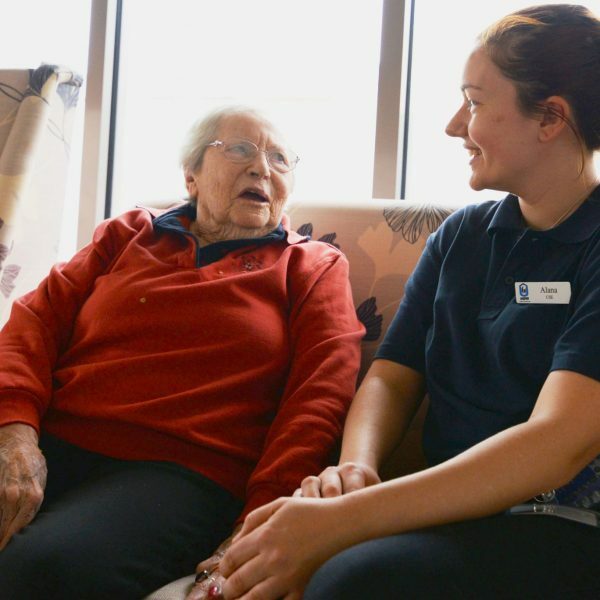 They also fund the Christmas lunch for residents and families every year and have been doing so for 25 years,” Mr Dunn said. “This is an opportunity to thank the community and staff on behalf of management and the residents and officially open the renovations. Patsy Wettenhall, 92, an original founding member of the Friends group helps Tony Dunn cut the birthday cake. 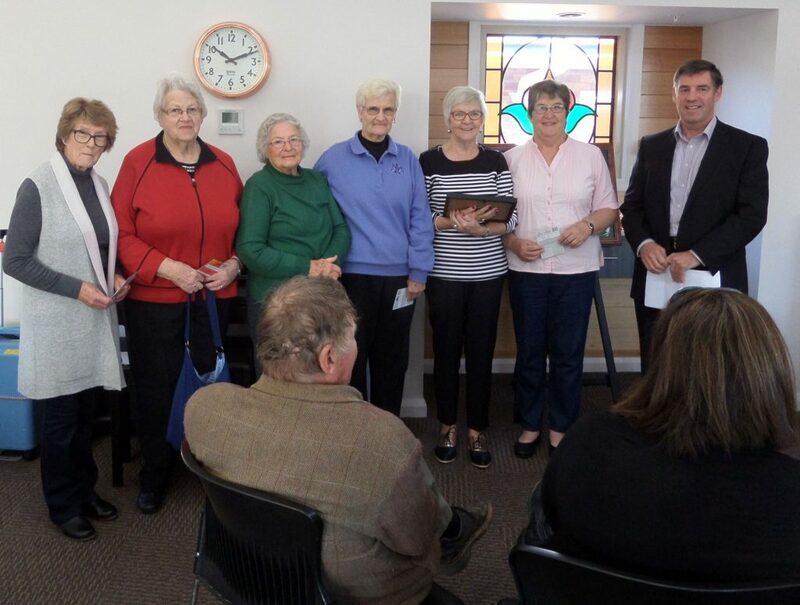 Left to right: Irene Lister, Betty Winzer, Isabel Fealy, Joy Quick, Pat Pitzen and Heather Lees are thanked by Tony Dunn, UPA Murray Regional Director.